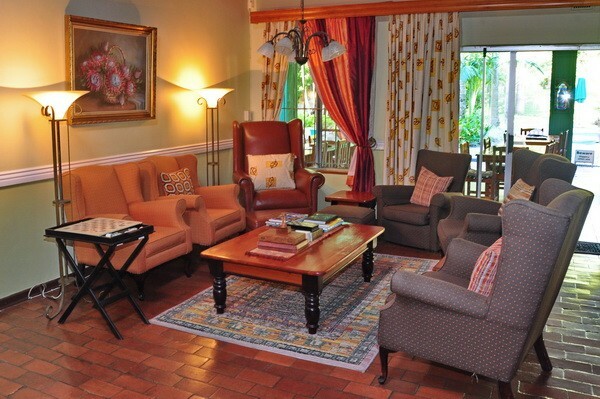 At Avalone Guest House we will spoil you with our ‘home from home’ hospitality, our spacious accommodation and lush gardens. The property borders the Nature Reserve, providing a tranquil escape amongst Nature and wildlife. Our two independent but neighbouring houses offer luxurious en-suite bedrooms, air conditioning, TV/DSTV, private patios, security safes and two large swimming pools. Whether travelling as a family, large group or going solo we guarantee you will treasure your stay with us. South Africa’s first World Heritage Site. AVALONE GUEST HOUSES consists of two independent neighbouring houses. Both houses offer you luxurious bedrooms all en-suite, air conditioned, TV/DSTV, tea/coffee making facilities and security safes. 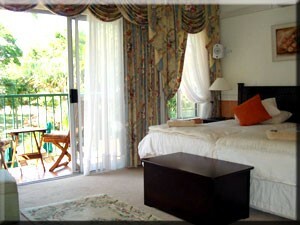 From most rooms there is direct access to private terraces into the beautiful tropical garden. Both gardens have direct access to part of the Nature Reserve. 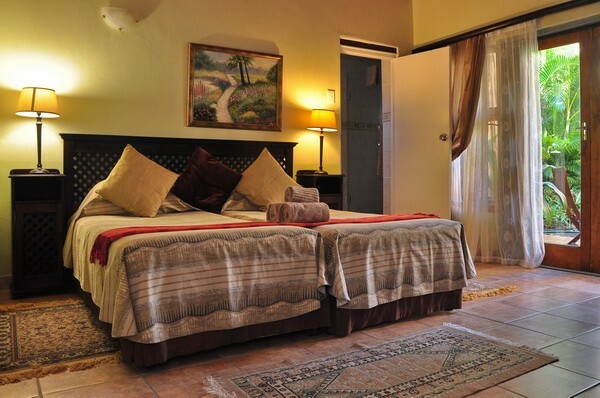 There is also one luxury suite available with private sitting room, balcony and has two bathrooms. For those hot and humid days we have 2 swimming pools. There is a fully stocked hospitality bar and there are 2 independent sitting rooms. 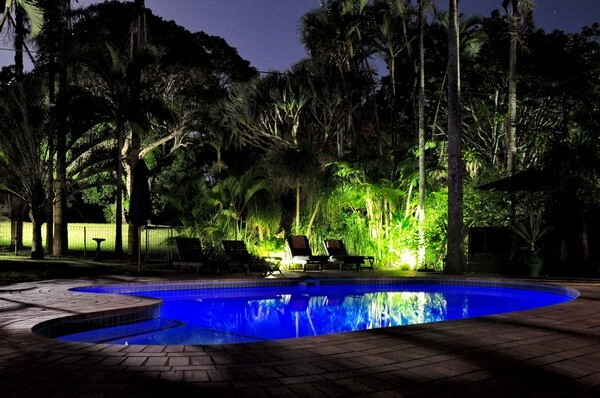 Enjoy and full continental and/or English breakfast on the patio overlooking the tropical garden. All tours can be arranged by the staff, we also have fax, internet and wifi facilities.